For thousands of years, Inuit women practised the traditional art of tattooing. 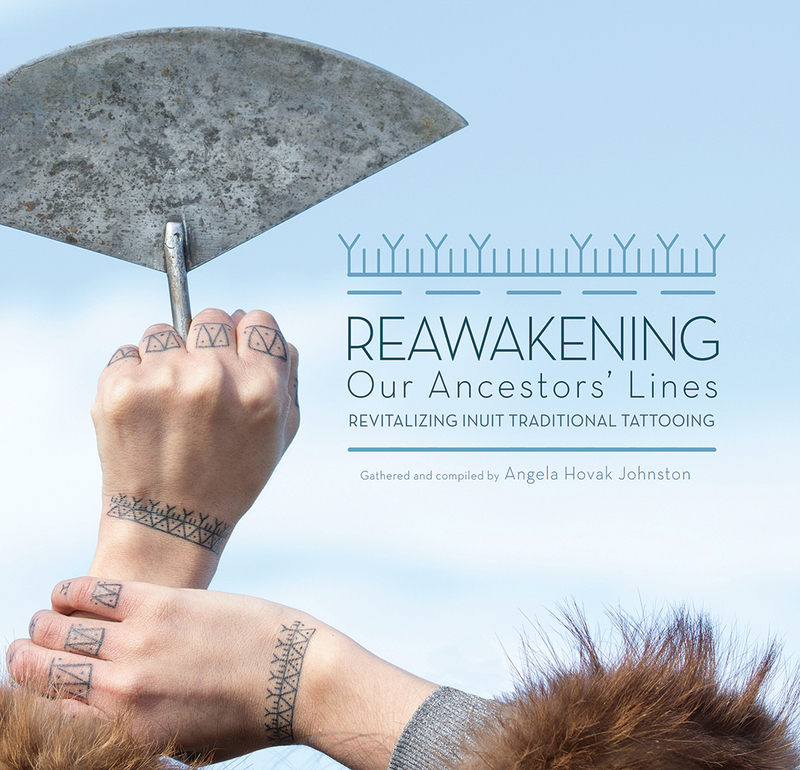 Created with bone needles and caribou sinew soaked in seal oil or soot, these tattoos were an important tradition for many women, symbols stitched in their skin that connected them to their families and communities. But with the rise of missionaries and residential schools in the North, the tradition of tattooing was almost lost. In 2005, when Angela Hovak Johnston heard that the last Inuk woman tattooed in the traditional way had died, she set out to tattoo herself and learn how to tattoo others. What was at first a personal quest became a project to bring the art of traditional tattooing back to Inuit women across Nunavut, starting in the community of Kugluktuk. Collected in this beautiful book are moving photos and stories from more than two dozen women who participated in Johnston’s project. Together, these women are reawakening their ancestors’ lines and sharing this knowledge with future generations.